Highly upgraded home in Joshua Creek. Great family home! Gourmet custom kitchen with caesar stone counter tops, upgraded faucets, porcelain tiles, stainless steel appliance package and a centre island with prep sink and large breakfast area. The family room is conveniently located off the kitchen and features waffle ceiling detail, crown and wainscot moldings and boasts a cozy gas fireplace with customized wood mantle. 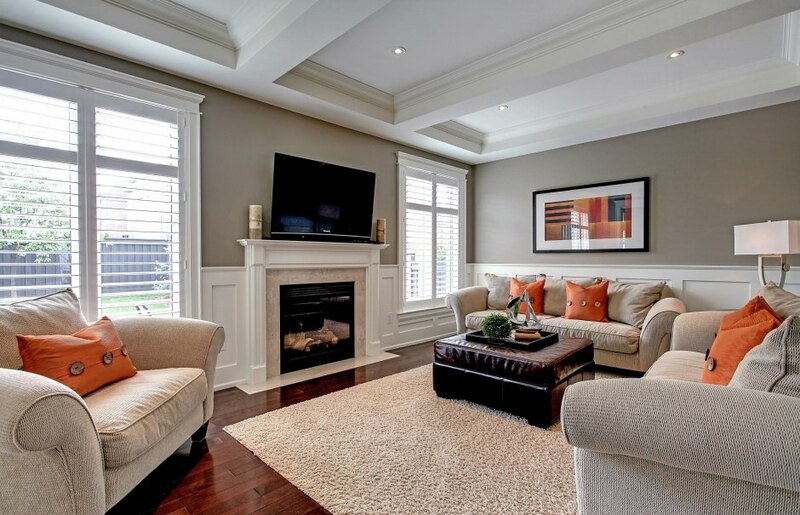 The main level has maple hardwood flooring, wainscot detailed walls throughout and crown moldings in many rooms. Many of the rooms have California shutters and highly upgraded trim, casings and baseboards throughout. The home has a large mudroom with custom built-in cabinetry. The 2nd level has 4 spacious bedrooms, each with ensuite access, a 2nd level laundry room and a master retreat with luxurious 5 piece ensuite and walk-in closet. The lower level has an outstanding professionally finished recreation room and games room with a cozy fireplace. No disappointments with this home! The property is professionally landscaped with a large rear interlock patio, flagstone front steps and landscape lighting and has a west exposed premium rear yard. Joshua Creek is an affluent professional community with access to great public & private schools, shopping, trails & parks, easy access to HWY 403, 407 & QEW & 10 minutes to the Clarkson GO station and short ride to Toronto's Union Station.